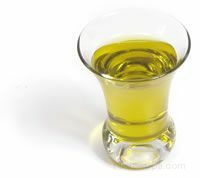 Air, heat, light, and age affect the quality and the shelf life of many types of edible oils, which deteriorate through oxidation (rancidity). The oxidation process is greatly enhanced when edible oils are stored in containers that are not air tight and in areas where the oil is exposed to heat and light. If improperly stored, some oils can easily take on other flavors. 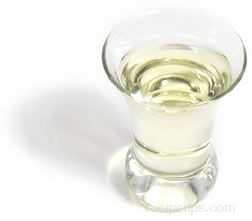 An unpleasant smell or taste indicates that the oil is no longer desirable for consumption. 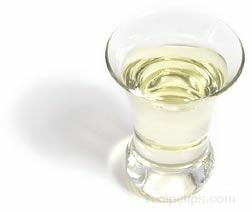 A wine smell or taste may reveal that the oil was not stored properly. A metallic flavor indicates that the oil was stored in a container made with reactive metal. 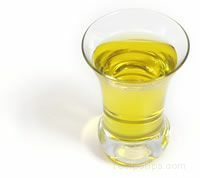 If edible oils become rancid very quickly, it may indicate that the oil was improperly stored and has oxidized. Most unrefined oils (oils obtained from cold pressing, mechanical methods) will keep for 3 to 6 months if properly stored in a cool dark location. The refrigerator is the best place to store unrefined oils and although most will solidify in the colder temperature, they will return to a liquid state if removed from the refrigerator one or two hours prior to use. Refined oils (oils obtained from heat and solvent extraction) tend to keep twice as long as unrefined oils - at least 6 to 12 months if stored properly. An oil high in polyunsaturated fat has a much shorter shelf life than oils high in monounsaturated or saturated fat and should be stored in the refrigerator to extend the shelf life. Avocado oil may be stored in the refrigerator for 9 to 12 months. Canola oil may be stored in a cool, dark cabinet away in its original container for 4 to 6 months or in the refrigerator for 9 months. 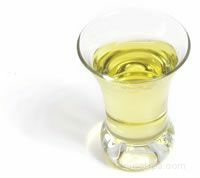 If kept at room temperature, chile oil will last for at least 6 months, but the flavor and heat will gradually dissipate the longer it is kept. The intensity will deteriorate less rapidly if it is stored in the refrigerator. Since corn oil contains a high level of polyunsaturated fat, it should be stored in the refrigerator for up to 6 months. 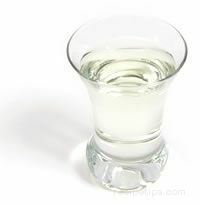 Grape seed oil can be stored without refrigeration for 3 months if the storage temperature does not climb above 70ºF, however since it contains a high level of polyunsaturated fat, it is best to store it in the refrigerator for up to 6 months. Storing the oil in an area of excessive heat will cause it to deteriorate rapidly. If hazelnut oil is stored in a cool dark cupboard, it will remain fresh for as long as 3 months, but it is best to store it in the refrigerator to prevent it from becoming rancid. If refrigeration causes the oil to solidify, it can be restored to a liquid state by leaving it at room temperature for an hour or two. The high level of antioxidants slows rancidity and allows macadamia nut oil to be kept for up to two years without refrigeration and longer if it is refrigerated. 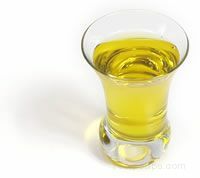 It is best to store mustard oil in the refrigerator where it will keep 5 to 6 months. It will keep for a considerably shorter period if it is stored in a cabinet. It should not be stored in a warm location. See Olive Oil Storage below. Due to the high level of saturated fat, palm oil resists rancidity and can be stored in its original container in a cool, dark cabinet for many months. Like palm oil, the high level of saturated fat in palm kernel oil (higher than palm oil) resists rancidity and therefore, it has a very long shelf life. Store in a cool, dark cabinet for one year or in the refrigerator. Refined peanut oil will keep for long periods, usually 2 years and in many cases almost indefinitely if it is stored unopened in its original container in a cool, dark location. Safflower oil has an extremely high level of polyunsaturated fat, which does not keep as well as other fat components and therefore it should be stored in the refrigerator where it will last for 6 months. Because of its strength, only a few drops of truffle oil are required to add the earthy truffle flavor to a variety of foods, such as meat, fish, pasta, risotto, salads, and sauces. Truffle oil may lose some of its intense flavor and aroma if it is stored for long periods of time. If improperly stored, walnut oil will become rancid quickly, especially if it is an unrefined version. If stored in a cool, dark cupboard, it will remain fresh for as long as 3 months, but like most unrefined oils and oils high in polyunsaturated fat, it is best to store it in the refrigerator to prevent it from becoming rancid. If refrigeration causes the oil to solidify, it can be restored to a liquid state by leaving it at room temperature for an hour or two prior to use. Refined walnut oil will keep for somewhat longer periods, but the refrigerator is still the best place to store it for optimum shelf life. Most solid fats are from animal sources, however there are exceptions. 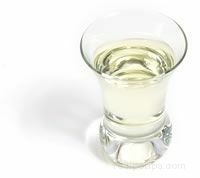 Tropical plant oils, such as coconut oil, are solid or semisolid at room temperature, and vegetable shortening and margarine made from plant oils are solid due to the hydrogenation process. Most solid fats also contain a higher degree of saturated fat than liquid fats and therefore are very stable and tend to keep for extended periods, especially when refrigerated. Although clarified butter keeps longer than whole butter due to the removal of the milk solids, homemade clarified butter should be refrigerated in case any milk solids are still remaining in the finished product. Refrigeration will allow clarified butter to remain useable for an extended period. Coconut oil is solid or semisolid at room temperature due to its extremely high saturated fat content and therefore is resistant to rancidity. It can be kept in its container in a cool dark cabinet for many months and it can also be store in the refrigerator it will keep for an extended period. 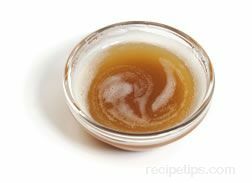 Ghee, which is usually sold in cans, does not have to be refrigerated because it contains no milk solids that can spoil. Butter is perishable so it should be stored in the refrigerator. Although it is tempting to store it in a container in a cabinet at room temperature so that it is easy to spread, it will become rancid quickly due to the presence of milk solids that can spoil. When stored in the refrigerator, it should be tightly wrapped because it will absorb odors and flavors quite easily. 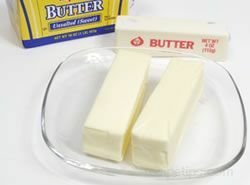 Unsalted butter may be kept in the refrigerator for 2 or 3 weeks and salted butter may be kept somewhat longer (4 or 5 weeks) because the salt acts as a preservative. Butter freezes extremely well and may be kept in the freezer for at least a half year. Vegetable shortening can be stored at room temperature for a year or more if it is tightly covered. The hydrogenation process makes it very stable and resistant to rancidity. It is best to use smaller pieces of food, such as strips or cubes of pork, beef, or poultry. 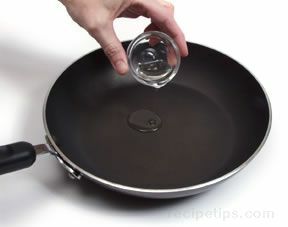 Large pieces are difficult to handle, which increases safety concerns when cooking with hot oil. Do not store olive oil in containers made of reactive metals such as copper or iron. 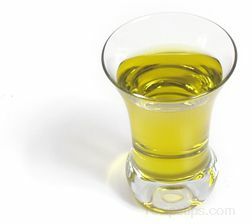 The chemical reaction between the olive oil and the metal will damage the oil and may produce toxins. Olive oil should not be stored in plastic containers because the oil may absorb PVC's from the plastic. 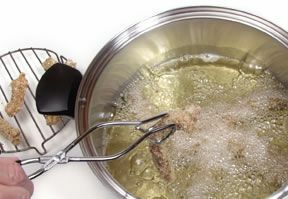 A major safety concern is when olive oil (and any other cooking oil) is heated to a very high temperature for deep-frying. Follow the recommendations listed under deep-frying safety tips for more on this.